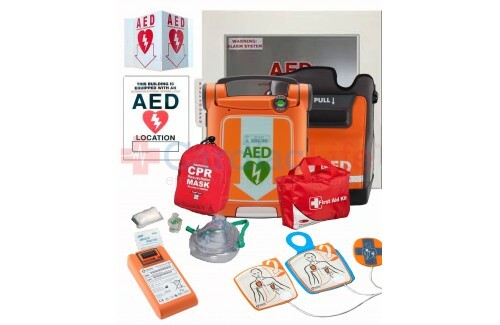 The Cardiac Science Powerheart G5 School and Community Value Package is shipped with all the supplies needed to save a life in case of Sudden Cardiac Arrest. The Cardiac Science Powerheart G5 is the newest AED in the Cardiac Science family. 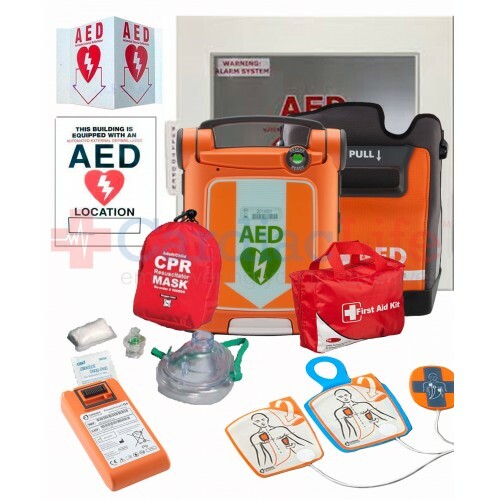 This powerful AED has a combination of features that will provide Sudden Cardiac Arrest (SCA) patients effective life-saving therapy. The Powerheart G5 has variable escalating energy, and rescue coaching.